Prominent & Leading Authorized Retail Dealer from Pune, we offer inductive sensor and presence plus filters. FLTI infrared filter blocks visible light and passes infrared light (included with infrared lights). FLTB blue filter improves quality by reducing ambient light; it passes blue and infrared light. FLTG green filter improves quality reducing ambient light; it passes green and infrared light. FLTR red filter improves quality by reducing ambient light; it passes red and infrared light. FLTUV clear protective ultraviolet filter is for use with high-performance lenses. 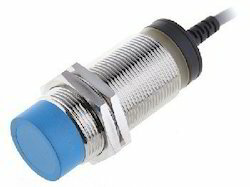 Looking for Inductive & Capacitive Proximity Sensor ?